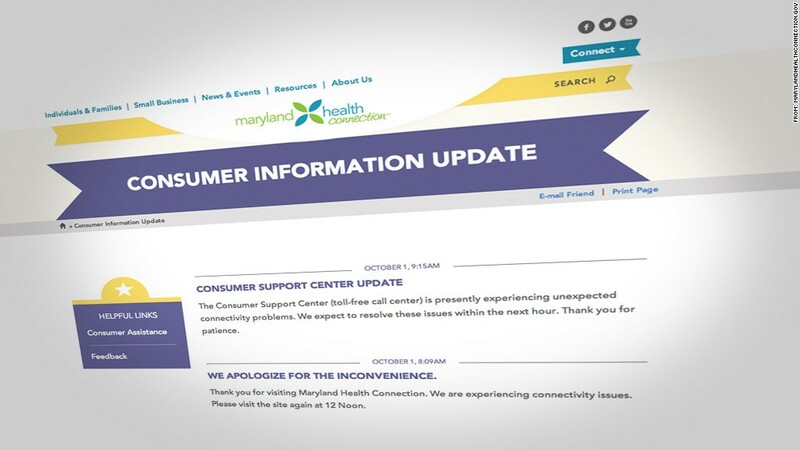 Maryland residents couldn't sign up for Obamacare on Tuesday morning. Many exchanges were having technical issues. Many consumers looking to sign up for Obamacare health coverage on day one didn't get very far, though things had improved for some by Wednesday. Enrollment in the Obamacare exchanges has officially begun, but widespread technical glitches have plagued the exchanges since they opened Tuesday. "We have a lot of visitors on the site right now. Please stay on this page. We're working to make the experience better, and we don't want you to lose your place in line. We'll send you to the login page as soon as we can. Thanks for your patience!" Federal officials said the site is experiencing higher-than-expected volume and problems are being addressed. In the first day, 4.7 million people visited HealthCare.gov and 133,000 called the federal portal's call center. Some 104,000 requested live chats. Wait times were getting shorter as the day progressed, officials said, with sign up information appearing a few minutes after the initial message. "We'll be speeding things up in the next few hours to handle all this demand," President Obama said Tuesday afternoon. Officials, however, declined to say how many people had actually enrolled in plans through healthcare.gov on Tuesday. Some New Yorkers received an "internal server error" when they tried to sign up on Tuesday. By early evening, there were 10 million visits to the site, a state Health Department spokesman said. But the sign-up site was functioning in the late afternoon and worked on Wednesday. 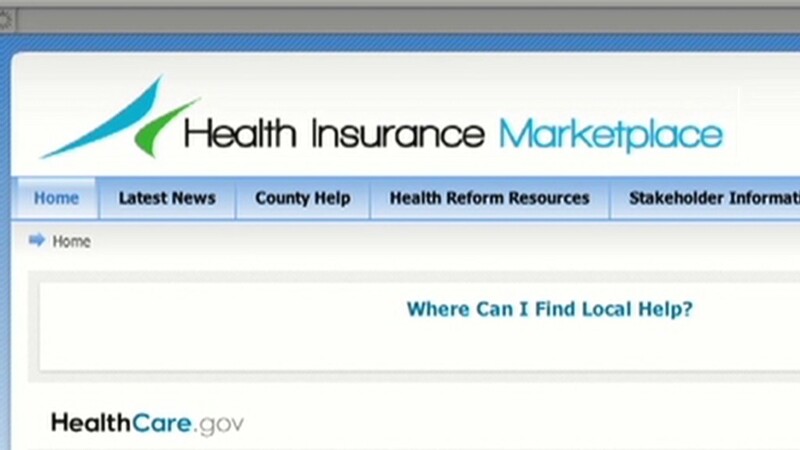 California's site Tuesday morning said in English and Spanish: "Due to the success of the Covered California Marketplace we are experiencing higher than expected users. To make sure everyone has a great experience while on the site, we need you to come back in a little bit. We're sorry for the inconvenience and we look forward to your return in a few hours." By Wednesday morning, it was working again. The state exchange experienced very high traffic when it opened Tuesday, said Larry Hicks, a spokesman for Covered California. "There's a lot of excitement and anxiousness about getting information and enrolling. From our point of view, that's a good thing," said Hicks. "The wait time, not so much, but we're hoping things will smooth out in days ahead." Kentucky's site, however, had more success. More than 2,600 individuals and families were able to enroll in plans as of midday Wednesday. Other states said they would reveal enrollment numbers next month. Some states said previously that they wouldn't be ready to accept applications. The District of Columbia, Oregon and Colorado all announced that they would not be able to fully enroll all residents online in the initial weeks of enrollment. Related: Obamacare: How do I sign up? CNNMoney readers from around the nation continued to report problems on Wednesday. One New Jersey resident emailed that she tried Tuesday and Wednesday to sign up and to use the live chat feature to get help. "After a half hour I got a representative and she told me they are busy and to try again on the off peak hours," she wrote. "So far I have gotten nowhere." One Ohio man said he's spent hours trying to sign up through the federal exchange. He even called his state insurance department, only to be told that it has nothing to do with the exchange. "This is not glitches, this is a complete mess," he wrote. "The chat lines don't work, the systems don't work. Consumers have six months to enroll in Obamacare, though they need to sign up by Dec. 15 if they want coverage to begin on Jan. 1.